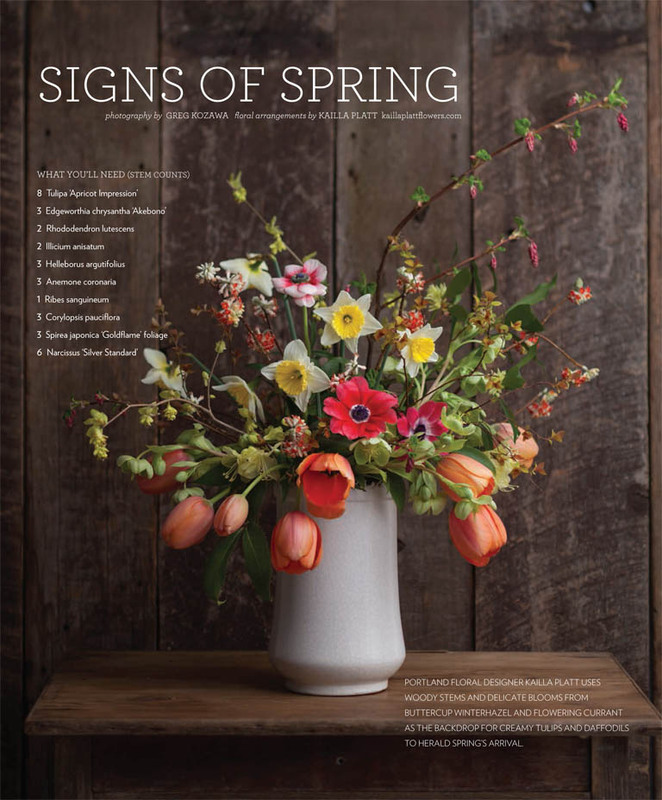 SPRING SNOWFLAKE BLOOMS + BOLD BEGONIA LEAVES – THE STEMS YOU’LL NEED: 4 Helleborus x orientalis, 7 Anemone ‘Pastel Mix’ and ‘Bordeaux,’ 3 Begonia foliage, 2 Clematis armandii, 5 Leucojum vernum, 3 Ribes sanguineum, ‘White Icicle’ 3 Sarcococca humilis, 5 Spirea thunbergii. 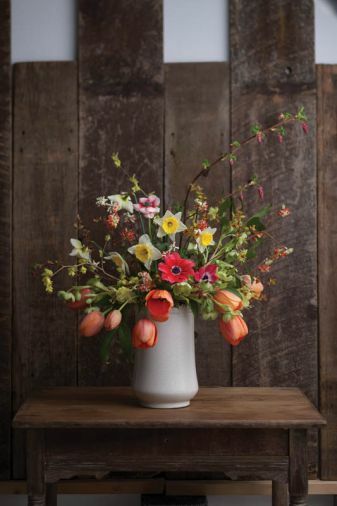 Portland floral designer Kailla Platt uses woody stems and delicate blooms from Buttercup Winterhazel and Flowering Currant as the backdrop for creamy Tulips and Daffodils to herald spring’s arrival. 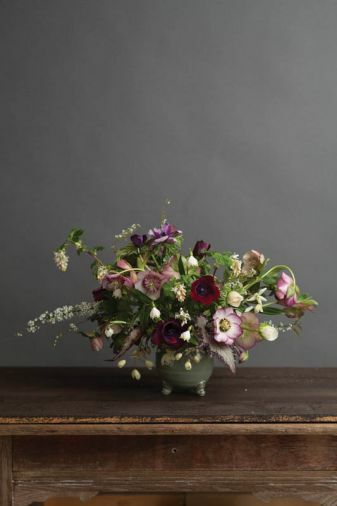 In another arrangement, a simple vessel is elevated to an elegant celebration of spring with a lush blend of plum Anemones, twinkling Spring Snowflake blooms and bold Begonia leaves.